Bandai has released their latest kit in their small- / non-scale Star Wars Vehicle Model line...the Episode 5: The Empire Strikes Back Millennium Falcon! Although I have a bunch of 1:350 models, I have decided to not get the 1:350 falcon. But it could be great fun for kids. Instead I try to focus on 1:144 and 1:72 scale, re. Bandai's Star Wars kits. 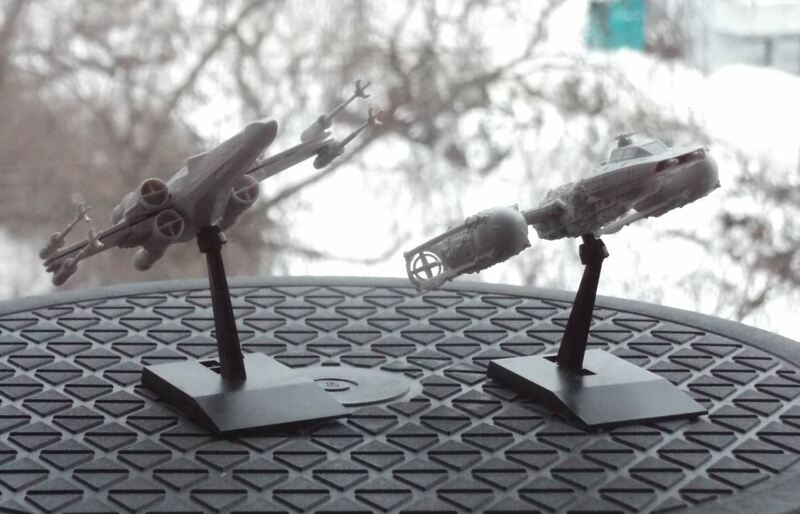 I have the X-Wing and the Y-Wing quickly assembled without any paint or anything, just to have something nice to look at on my table every day. I prefer the X-Wing with the wings closed myself.